DCGstores.com understands that the home office is a room of function and style and the office furniture chosen speaks volumes. Quite often it is a haven away from a traditional office where one can get work done either on weekends or on rare work from home days. Conversely, it may be your main area of operation and as such needs to meld form, function and style into a working arrangement that is not only easy to maneuver in, but also stylish enough to impress business clients. We offer hundreds of options when it comes to office furniture – everything to suit either a small home office or an opulent suite. From traditional to ultra-modern you're certain to find exactly what you need here. You can make your search for the perfect office or computer desk a bit easier by deciding what style your office is going to take before you start shopping. Because the desk is typically the central focus of an office, this decision is the springboard that helps to decide the style of the other furniture pieces brought into the room. You'll want to decide if you want a more contemporary or traditional feel and what materials you want to dominate the space. DCGstores.com offers you over 150 choices and options when it comes to office and computer desks, making this decision a bit easier. You will also want to consider the type of work that will be done at the desk. We offer a range of desks that can support everything from architecture design and drafting with our glass top desks, to executive workstations to support the busiest of executives or support personnel. Long gone are the days of army-green metal filing cabinets that loom sullenly in the corner of an office. Today we understand that you don't need to sacrifice style for function. 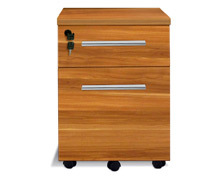 DCGstores.com brings you a healthy selection of beautiful filing cabinets and carts that will blend flawlessly in with the rest of your office design yet offer you the ability to sort, file and manage your documents with ease. There's absolutely no reason to bring in an ostentatiously utilitarian piece of furniture to manage your filing needs. Shop with us and find the perfect match for your office. Choosing Office Furniture You'll Love...Forever! Okay, maybe not forever but for a very long time. When you're looking for furniture for other rooms of your home your thoughts often move to value, appearance and comfort – your office furniture should be no different. In fact, they can be more important in these choices as your office furniture will see constant use on a daily basis and as such it needs to stand up to constant use, provide a simple and smooth flowing work environment and be comfortable enough to sit at hours at a time. Take good care when selecting your office furniture that it meets the needs you expect it to perform. If you need storage, yet choose a desk that does not come with drawers, it will hardly live up to your expectations. One of the biggest considerations when choosing office furniture really needs to be comfort. If you expect to be seated in front of your desk for hours at a time, day after day, it is extremely important that you are comfortable at work. Special care needs to be taken in the selection of your desk and desk chair in particular. If the desk is too small you may find yourself frustrated with clutter or a crowded feel. If it is too large, necessary items may continuously be out of reach. 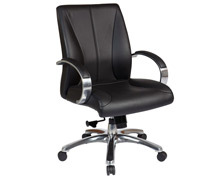 Your chair should be fully adjustable to meet your needs and match the height of your desk. You want these pieces to be comfortable, allow you to work for extended periods with little waste of motion. Lastly, because they will see constant and heavy use, they need to be able to hold up to wear and tear. Selecting the perfect office furniture is often a bit more involve than just choosing the items that are the most aesthetically pleasing. With our incredible selection, hopefully we've made this much easier.